Uncover this Roberto Coin stirrup link bracelet that adds a contemporary sophistication to your look. The high-polished 18kt white gold is beautiful against the sparkling element of diamond encrusted rondels. 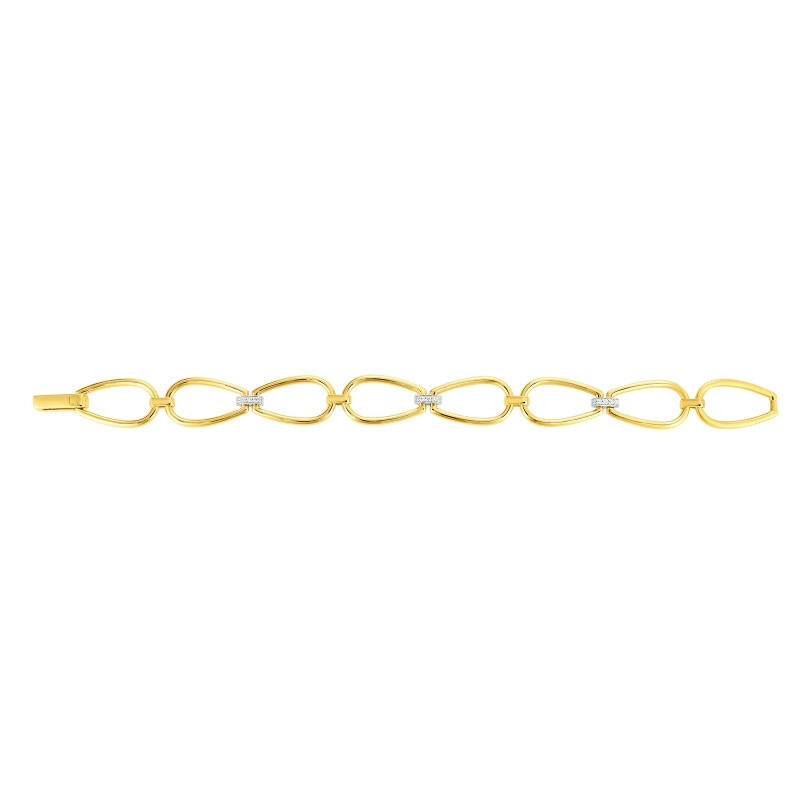 This bracelet has an elegance that will compliment any romantic look—day or night. Roberto Coin is the result of taste and experimentation, turning each creation into an unedited version of style and innovation.